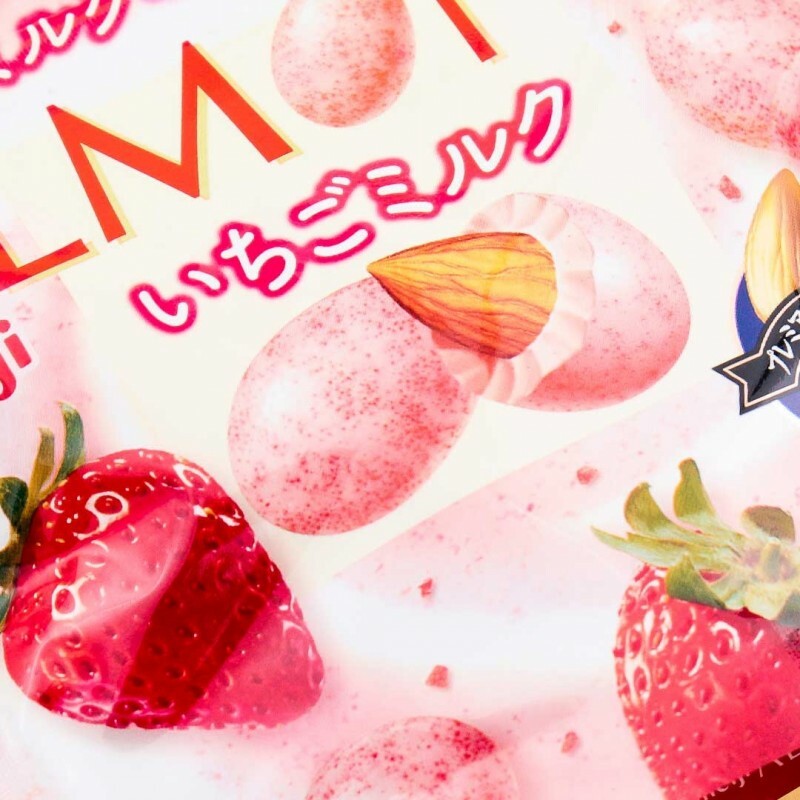 Meiji has been making Japan's best chocolates since 1918. Their Almond Chocolate line certainly shows the result of years and years of practice & perfection. 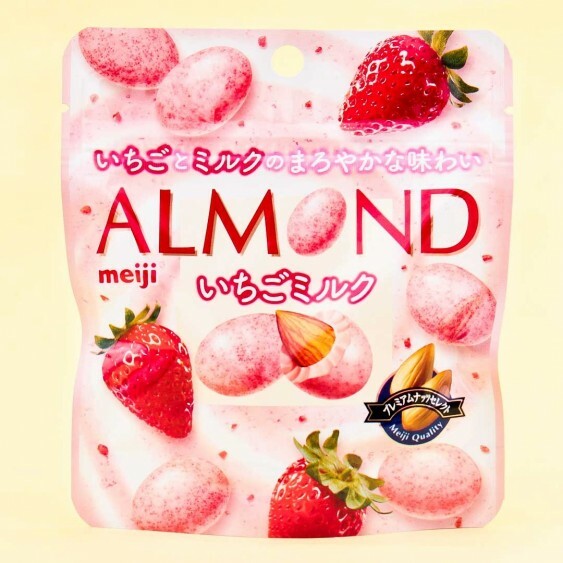 The carefully picked almonds are coated with white strawberry chocolate, an unexpectedly great combination! Perfect for picnics and parties! 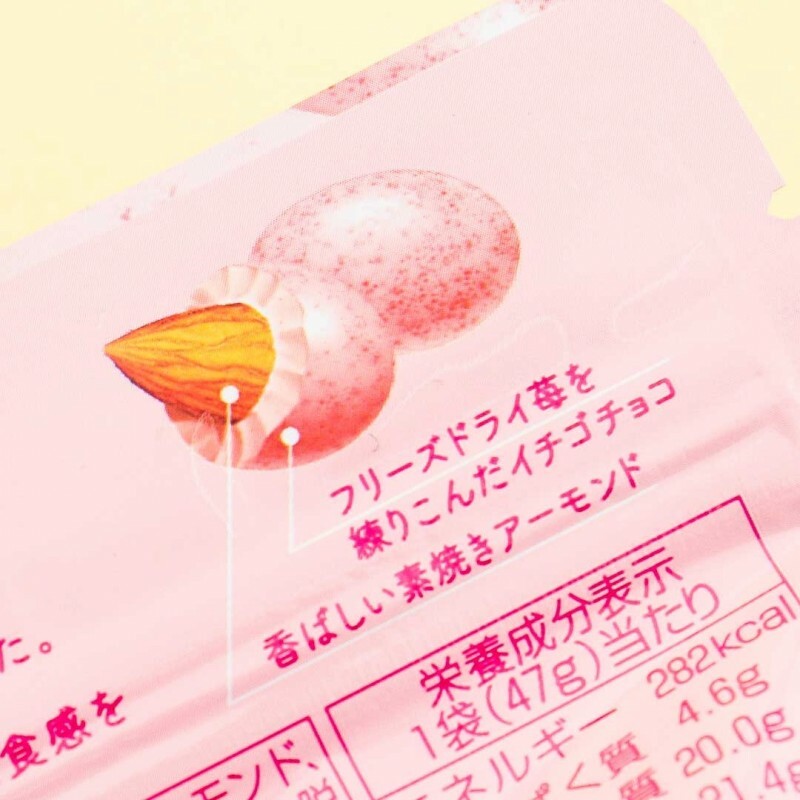 Contents: 47 g / 11 pcs.